Every 12 years, millions of devout Hindus celebrate the month-long festival of Kumbh Mela by bathing in the holy waters of the Ganges at Hardiwar, India. Hundreds of ashrams set up dusty, sprawling camps that stretch for miles. Under the watchful eye of police and lifeguards, the faithful throng to bathe in the river. 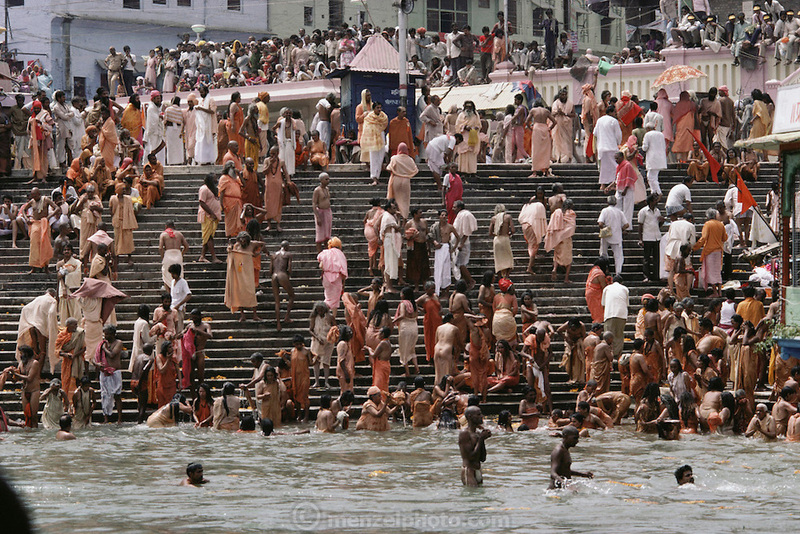 Here, across the river, a ghat is dedicated to sadhus and nagas so they can bathe in relative peace.